Perhaps Mosby does know a thing or two of cops. After all, she brags constantly of her family’s law enforcement background. 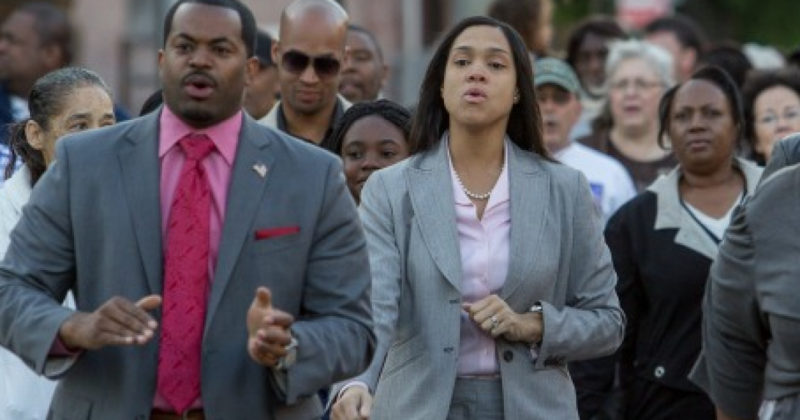 Unfortunately Ms. Mosby doesn’t elaborate, because her family history of law enforcement is a bit checkered. According to a Boston Globe article at the time, James, Allen and another suspect flashed badges and brandished guns while shaking down drug dealers. The officers identified themselves as “renegade police” and were reportedly drunk. During one robbery, one of the men fired his gun, though nobody was hurt. James was arrested while on duty at a police station in Dorcester but was acquitted of charges in the case in 1991. After acquittal he was immediately fired for conduct unbecoming an officer, according to the Baltimore Brew, an independent newspaper. Her grandfather wasn’t much better, as The Daily Caller report suggests. At the time when Mosby’s grandfather was a policeman, Baltimore was becoming a lot less white and a lot more black. The outcome: the situation the city finds itself in today, which is one of the Top 10 most dangerous cities in the country.